Sonny & Sons Stone Company LLC has been delivering results since we opened in 1988 in the same location in the heart of Bluestone country . We are a family-owned business whose operating foundation is that of satisfying our customers by our firm commitment to excellence from our management team to our employees to our quarrymen suppliers to everyone who touches or fabricates our stone products. Quality is our vocation. Believing that we sell and produce one of nature's best building materials is the backbone of an industry that is over 160 years old. Our motto is "BLUESTONE IS FOREVER". A natural cleft bluestone surface is created when blocks of bluestone are sawn out of the ground and split on visible seams. The surface has a natural texture and is non-gauged, which means the thickness is approximate. 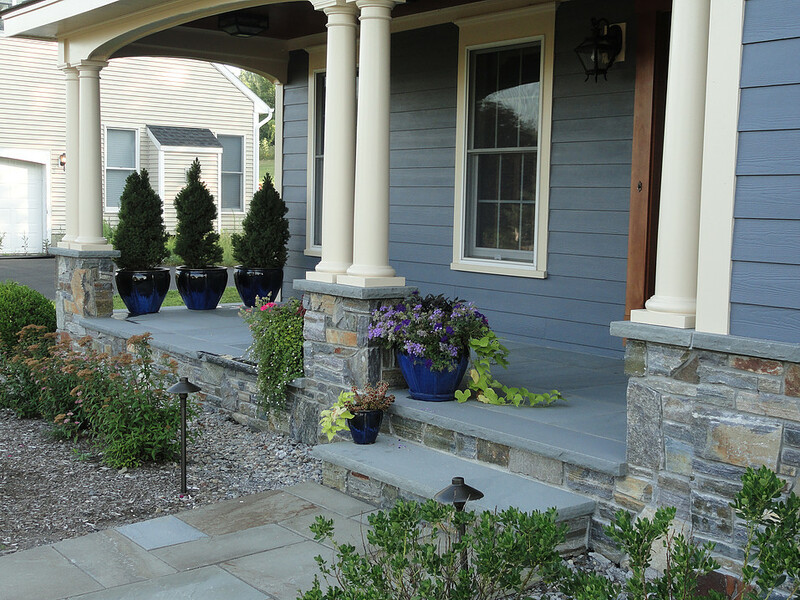 Visit our Bluestone Styles page for more pictures. Fieldstone is a building construction material collected from the surface of fields where it occurs naturally. 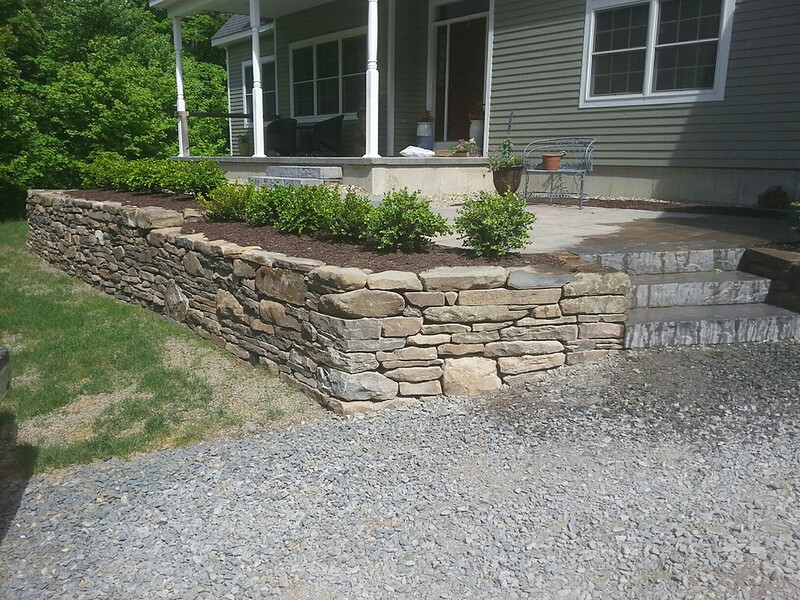 Field stone is most commonly used for rock wall construction. It is both abundant and easy to work with. 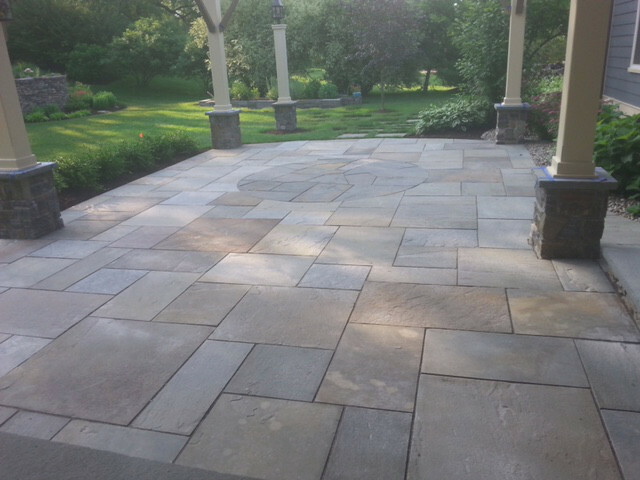 Visit our Bluestone Styles page for more pictures. Bluestone treads are cut and sawn from the same quarries as our bluestone flagging. Treads are cut to size, and flamed by using water and heat. This process gives the top and edges of the tread a textured feel and look.Visit our Bluestone Styles page for more pictures.